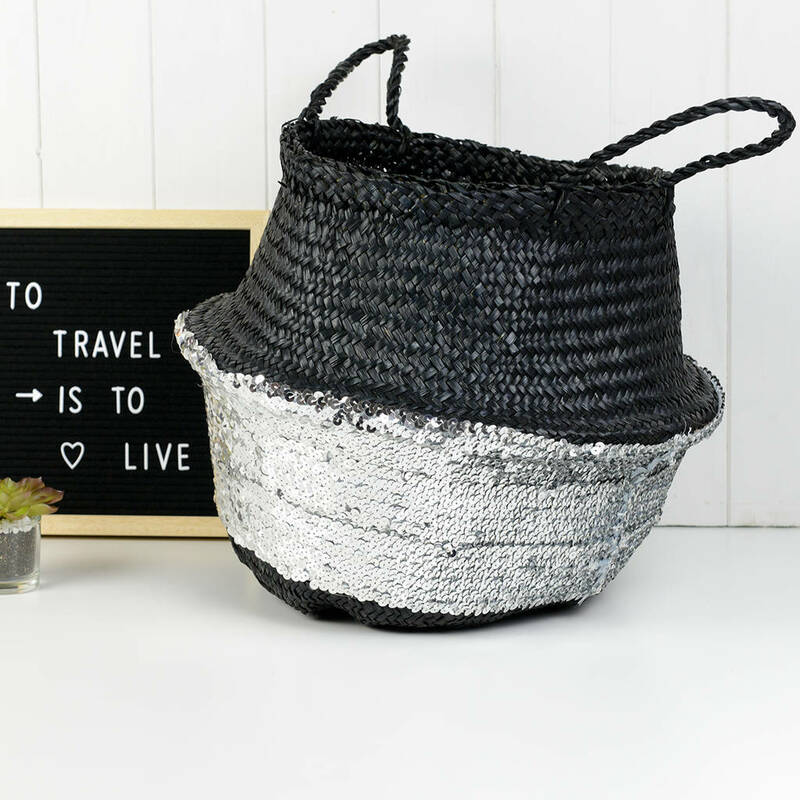 Our favourite interior accessory. 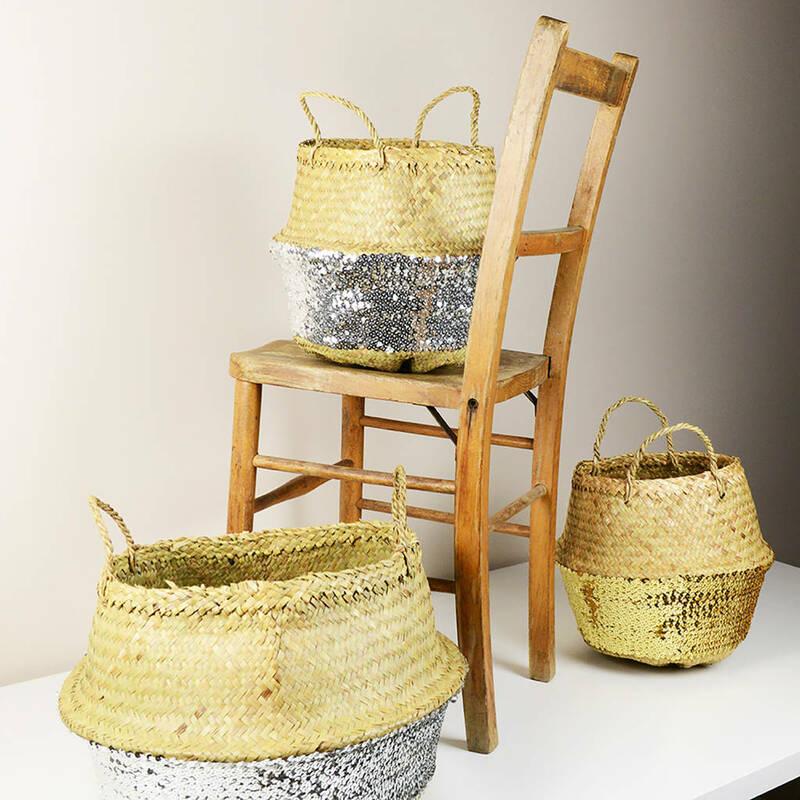 Add some artisan sparkle into your home! 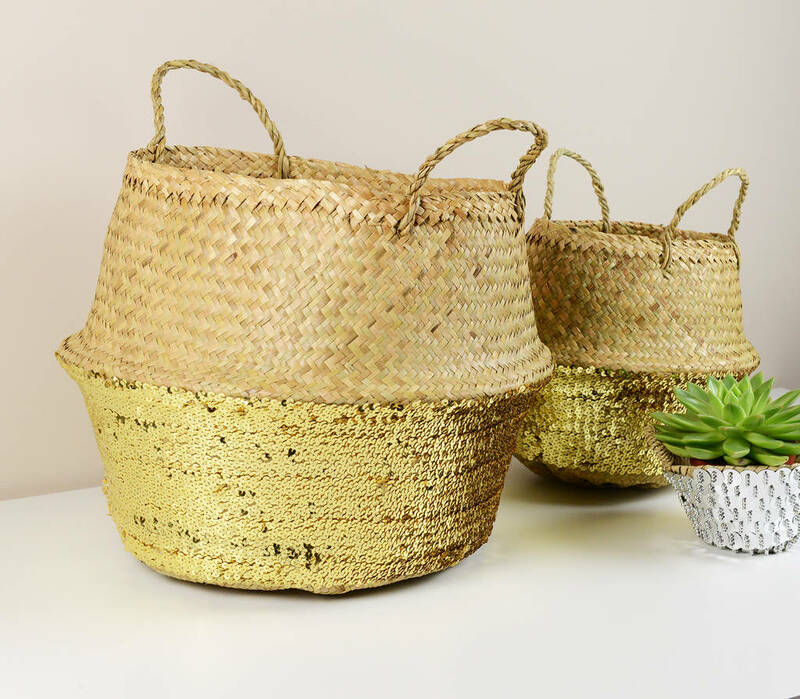 Gorgeous artisan baskets, handmade using traditional basket making techniques. 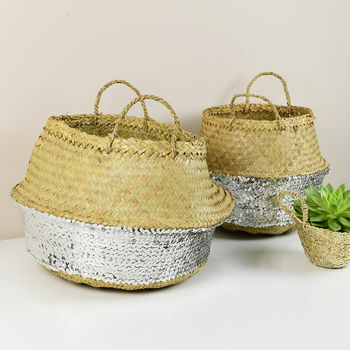 Made with natural grass with gold or silver sequins, featuring to the bottom half of the basket. 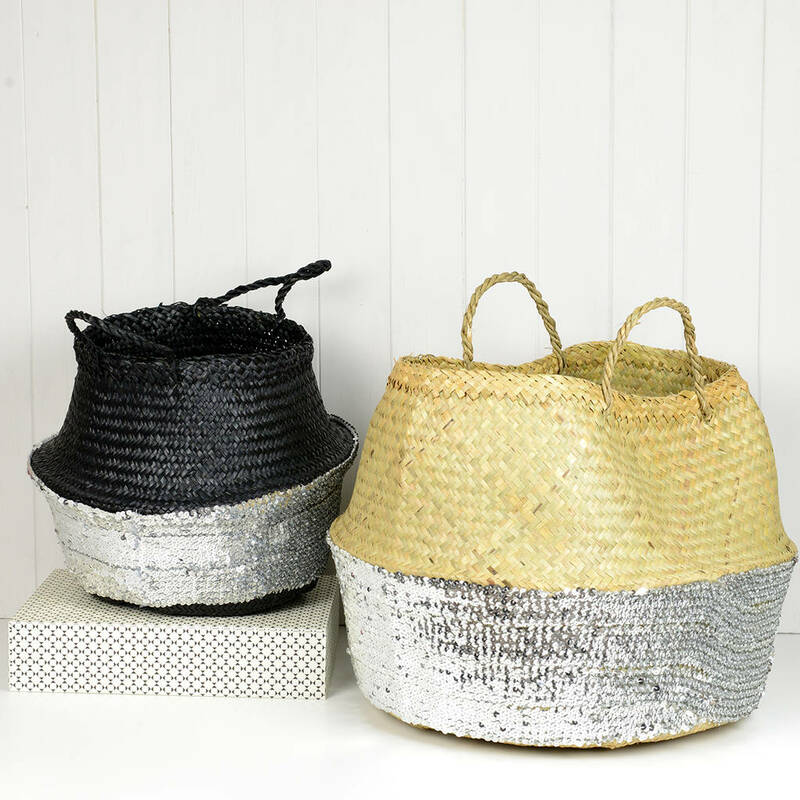 Perfect for the storing magazines, wood, or towels. Handmade and fair trade. Slight variation in size and shape may occur, each one unique but beautiful! Do not get wet. Vacuum gently to remove dust. Gold or silver sequins with natural basket. 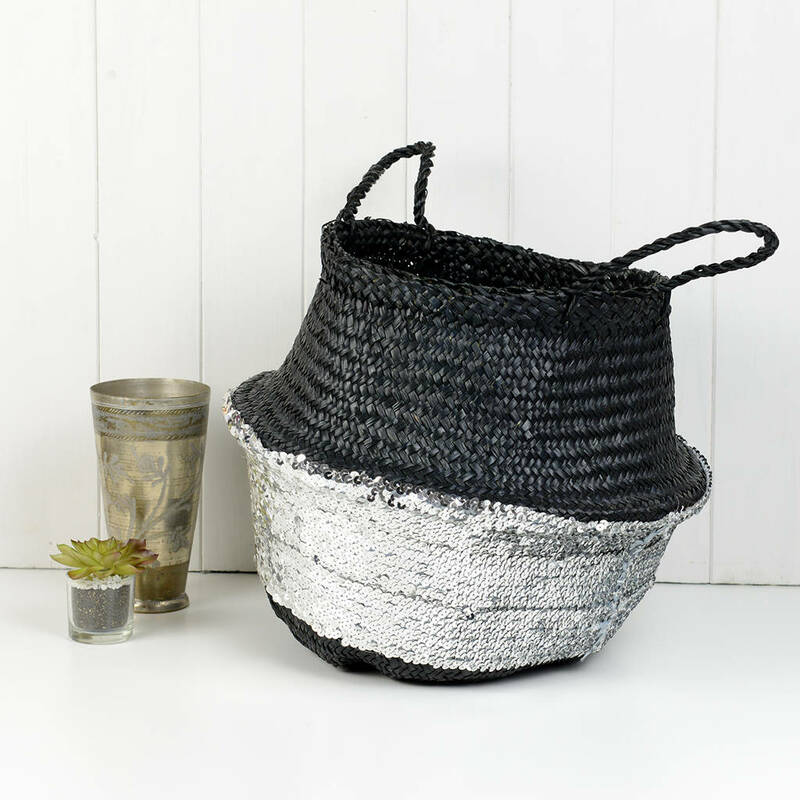 New - silver with black basket. Medium - 30 x 30 cm. XL - 50 x 50 cm. 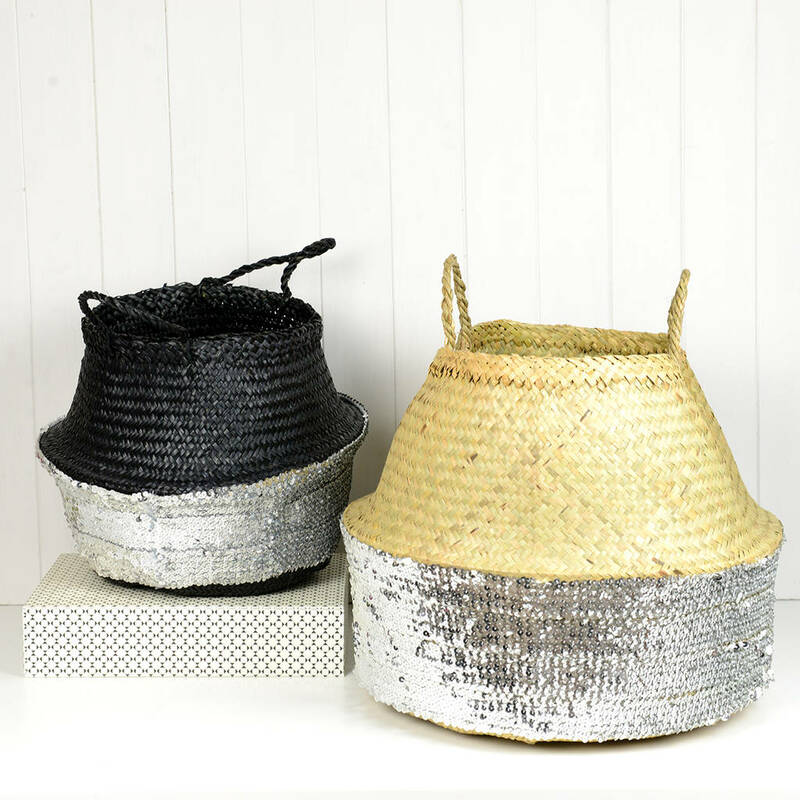 Sizes vary, due to their handmade construction.